New Delhi : The Union Minister for Health and Family Welfare J P Nadda said, India has 2.2 million new cases of TB identified every year, has come a long way in TB control, but More needs to be done to control it. Referring to the high burden of TB in the country that kills as many as three lakh a year. The Health Minister stated this at a function to mark the World TB Day. 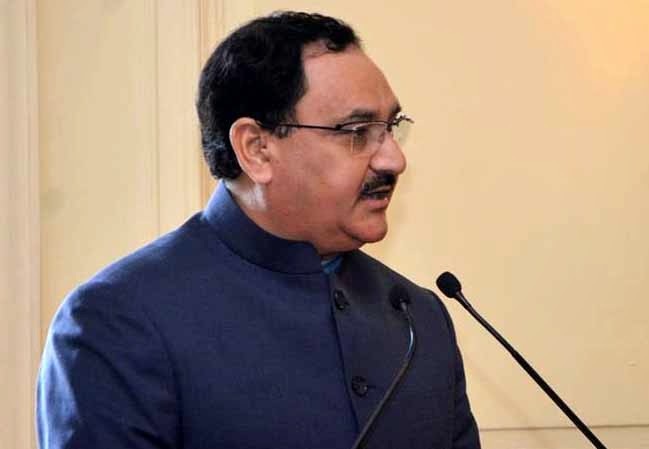 Nadda stated that although there have been many challenges, the Ministry through the Revised National TB Control programme (RNTCP) has been able to achieve significant achievements in terms of treating people and saving precious lives. The process however, of addressing the challenges that lie ahead is continuous, he mentioned. Through innovations in systems, constant vigilance, effective surveillance and sturdy monitoring combined with awareness among the masses regarding RNTCP, TB can be controlled. The Health Minister highlighted that inter-sectoral convergence is a crucial component of the Health Ministry's policies where various sectors and Ministries handling sanitation, water, environment etc., will be brought on board for an all-inclusive and comprehensive policymaking for health issues. He informed that the Ministry has been interacting with Members of Parliament to keep them informed about the various initiatives taken up by the Ministry and to seek their active involvement in creating awareness regarding not only the available cure but also spread message of preventive health. The Health Minister launched the website of the National TB Control Programme, released the RNTCP Annual Report 2015 along with the special issue on TB of the Global Policy Journal, and launched the project on "Innovative intensified TB cases finding and appropriate treatment at high burden ART Centres in India".